Some clogs can be deep in the drainage system and difficult to clear. In some cases, home remedies may make the clog worse or be only a temporary fix. When it’s time to get some help, call Charlie’s Plumbing & Heating. As a family owned and operated business, we bring generations of drain cleaning experience to your home in the Salinas and Monterey area. Our trained, certified professionals will arrive at your home promptly and carefully inspect your plumbing problem. We use state-of-the-art cameras to locate and evaluate the extent of your drain problem. We will apply the latest tools and technology available and top quality workmanship to unclog, repair or replace your drains so that you receive an exceptional solution at a fair price. Our reputation is built on honesty and integrity, putting your satisfaction at the top of our priority list. If drain clogs seem to be a more regular occurrence at your home or business, contact Charlie’s Plumbing & Heating. 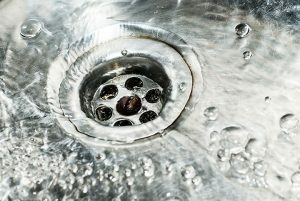 Ask our team of professionals about recommending a maintenance program to keep your drains open and running smoothly. We can help keep the water flowing out of your home and business each day. Regular inspections, recommending maintenance products and cleaning drains on a schedule is preventative maintenance that saves you money. We have experience in drain jetting, snaking out toilets, clearing kitchen grease traps, and repairing storm drainage problems. Add the run-of-the-mill kitchen and bathroom sink clogs and we are your complete plumbing solution. If your home or business experiences more major problems like mainline, sewer line or storm drain clogs, our professionals can apply our expertise and equipment to solve those issues as well. Licensed, bonded and insured, the professionals at Charlie’s Plumbing & Heating can be available at your convenience by appointment or can also be called 24/7 in an emergency situation. The next time you are struggling with clogged drains in Salinas or Monterey, be sure to call Charlie’s Plumbing & Heating. We are waiting to serve you.